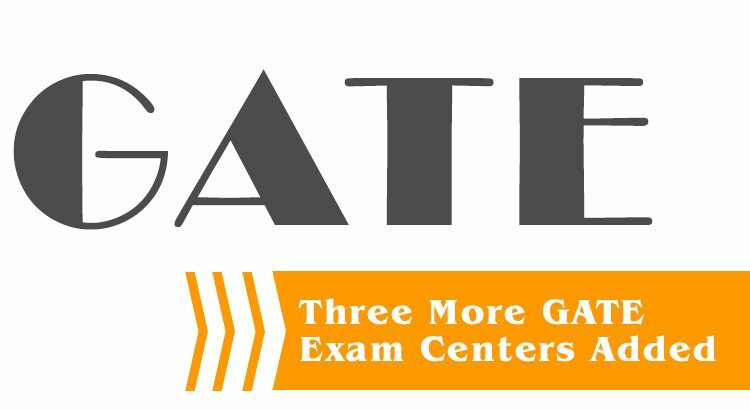 The organising body of GATE exams has included three more GATE exam centers in its list of test centers for conducting GATE exams. The three new GATE centers that have been added are Burdwan, Dibrugarh, and Gorakhpur. The exam centers at Burdwan and Dibrugarh comes under IIT Guwahati Zone, whereas Gorakhpur exam center comes under IIT Kanpur Zone. The center for GATE exam is chosen by a candidate as per their preference while filling the GATE application form. A candidate can select three GATE exam centers of his choice from the given list of centers. The third choice is considered as the last resort and is allotted only if the first two selected choices are not available. The GATE 2017 exam was conducted on 4-5 Feb 2017 and 11-12 Feb 2017 at 680 test centers in 195 cities across 26 states and union territories of India. NOTE:The GATE authorities can remove any exam center or city if they observe any operational constraints.